A blog page stays in place. That is why this page repeats the blog post of June 2, 2016: Each new post goes on top and pushes the former post down. A page stays put. We believe what this page says about our work is important enough to clients to keep it put and easily accessible. So, here is this page to help you learn more of the why in what we do and will do for you. The photos in this blog are not to occupy space and take up your time, but rather to give an idea of how we might photograph a similar but personal scene for you and to reveal something of the feeling we have for the subject. 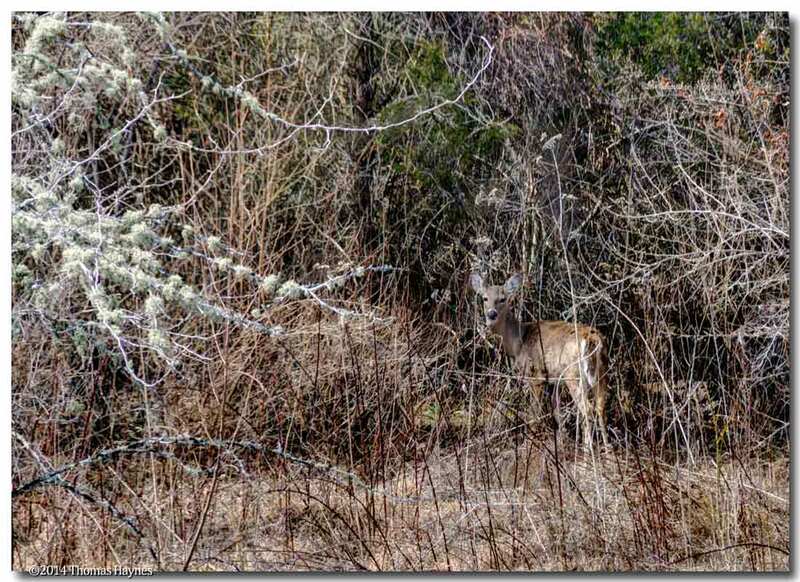 This may help in your decision to have photography done--- images to keep in print, to hang your wall and have in digital form to stir a memory or particular meaningful moment. Obviously, we are flexible and may alter photo methodology to best suit the intent,however, our connection with our work remains the same. To inquire on pricing, ask questions or discuss an idea, use the contact box to the right. We will continue with normal email as desired. Photos have side notes telling our emotions and thinking at the time a particular photograph was taken. If notable, uncommon editing will be revealed.We are not sure how to define and show style...considering the varied subjects in the total folio of the years. We can't be classified by a single subject..if any subject type dominates it is likely animals. If a mood dominates, it is linked to peaceful, soft, quiet, revealing. What we hope you do is think of the reasons for your photo session and perhaps see something in our work you find appealing. (Note: As we look at our body of work, a few photographs may be selected and added to this page ever-so-often. Opportunity for volunteer work with an excellent rehab and educational center. Closing its web page on or about June 7,2018..this opportunity lasted almost 11 years, loving every minute of it. 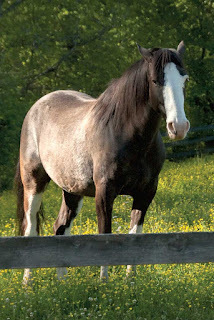 matter of timing…my friend’s horse “Blue” had been running the fields with his companion, “Rocky” for a lot of the afternoon and I had the action photos needed .What I did not have was a portrait of the horse. Timing of Blue and sunlight made this image happen as wanted. A nice print is framed and in the home. Blue was led into the adjoining field and just when low sunlight was good for this, he came closer to me. 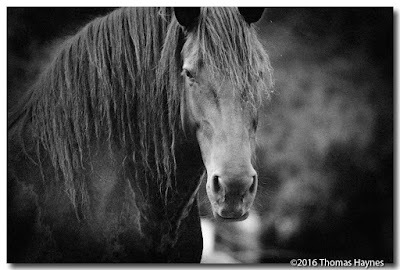 Then and only then were we able to get a "portrait" of this family horse. This landscape of autumn trees near Cumberland Gap, Virginia was processed in HDR. That is high dynamic range, a popular option for many stationary compositions. Generally three photos are shot from a rest or tripod and combined to form one image. Since movement will produce blurs or ghosts on the combined picture, a nearly motionless subject is desired. Each photo is taken with a slightly different exposure and the combined image shows the best a computer or print will display of details within the highlights and in the shadows of the scene. Photographers often overdo the HDR effect resulting is surreal rendering of details and sky. Judicious editing and good memory of the actual scene helps the editor to make the most true to life result using HDR techniques. We do not call HDR a style but rather "technique" applied to many sorts of photographic subjects. 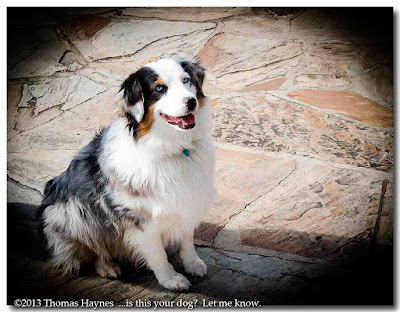 Owner/Photographer Thomas is Haynes is a volunteer photographer for a rehabilitation center for raptors, meaning owls, hawks, and the occasional vulture or osprey. We had opportunity to visit and photograph this rescued barn owl while it gained strength in a large flight cage The owl was rescued with a nest mate from a warehouse demolition. The young owls were raised without parents, taught to hunt live prey and given room to fly and become able to likely make it on their own in the wild. 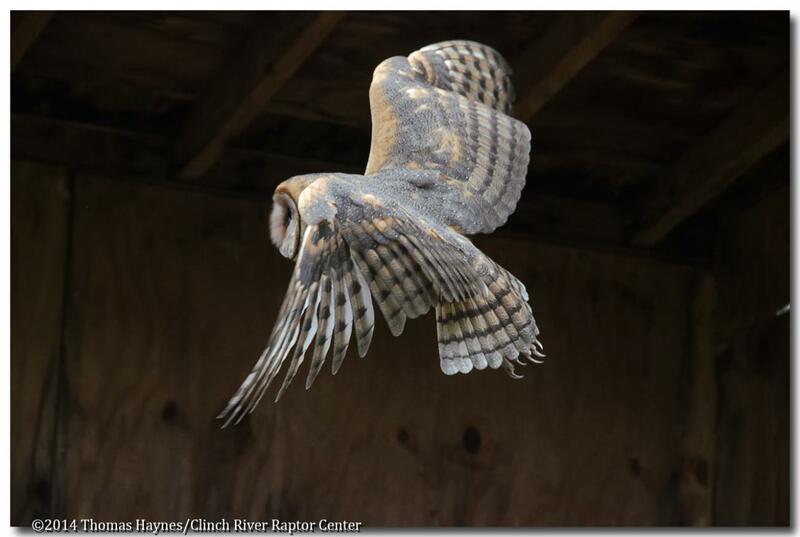 We released these owls at an old farm in early evening. We can only do our best to teach a wild raptor how to survive and must do so. without allowing the bird to bond with humans. Having spent time at the flight cage we learned how to best position the photographer for revealing and beautiful images such as this one. The owls were released one evening a few days later. There is a deep love of nature and its creatures in our company. If a photo will needlessly disturb an animal, we skip that photo. Since the owls were released after sunset and flash would be needed for decent imaging, we skipped those photos knowing the owls were free for the first time in their lives. A distracting, possibly frightening or temporarily blinding photo flash would be reckless. This candid photograph of a couple was taken in late afternoon sun with exposure lowered to mimic the darker early evening. This is a private time of solitude, viewed from a distance. 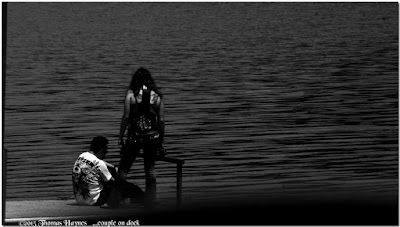 The tattoos and dress of the couple seemed to fit the darker scene…that is the style of this slice of life. 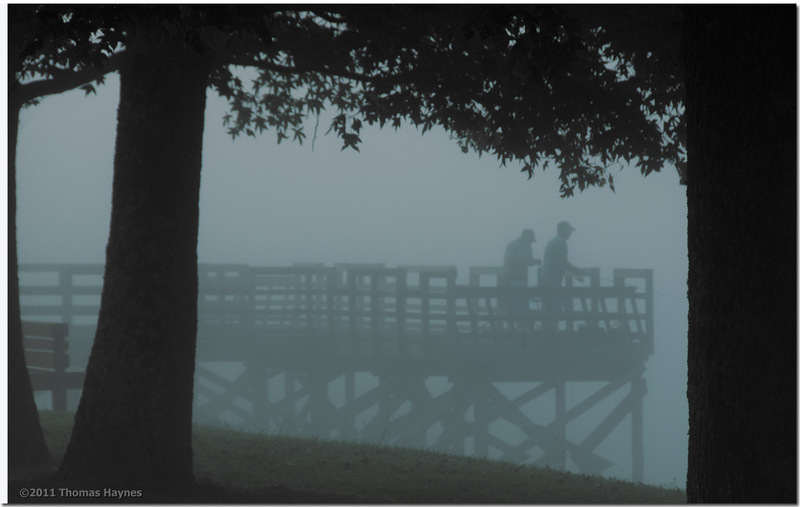 Related by mood to the previous photo is this photo of fishermen on a dock as evening fog rolled in. Mood is similar but we recognize relationships of the subject people with each other are totally different. We watched the men fish as fog came in and past our place on the shoreline, then deeper, higher and thicker until the fishermen could not be seen through the mist. A cool calm took over the mood of all around us. This horse ran the field with its companion, Blue, obviously for the sheer fun of it. 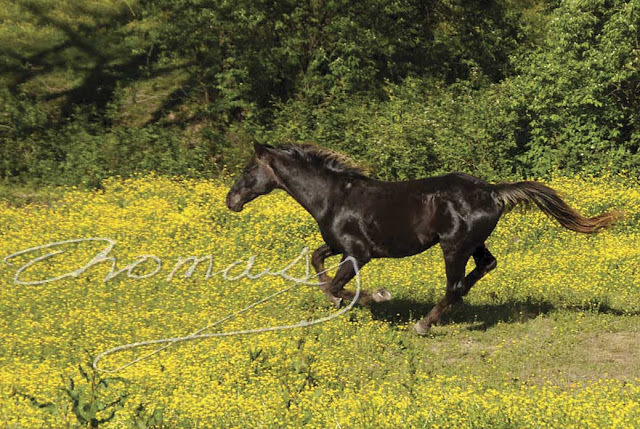 He loved being "free" and trying to watch his gaits is a challenge for me, certainly with him not wanting to slow down. 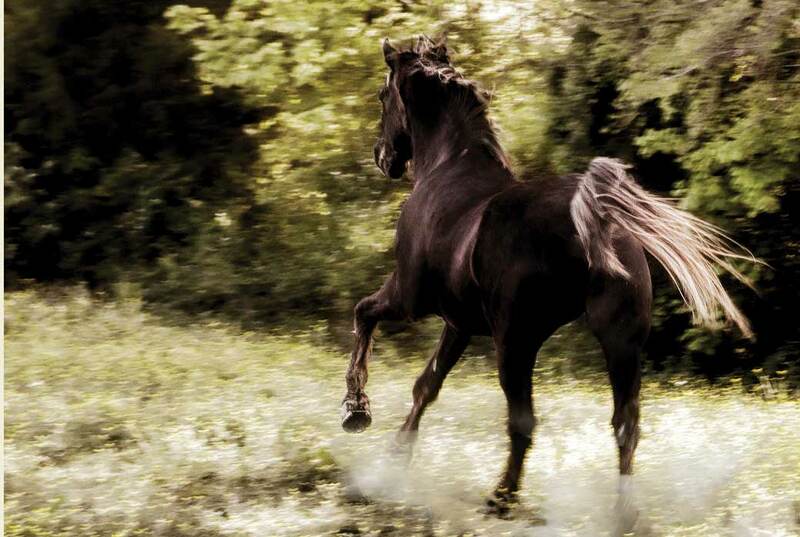 Both photos required a fairly fast shutter while panning the horse's movement. We really like this quarter view. 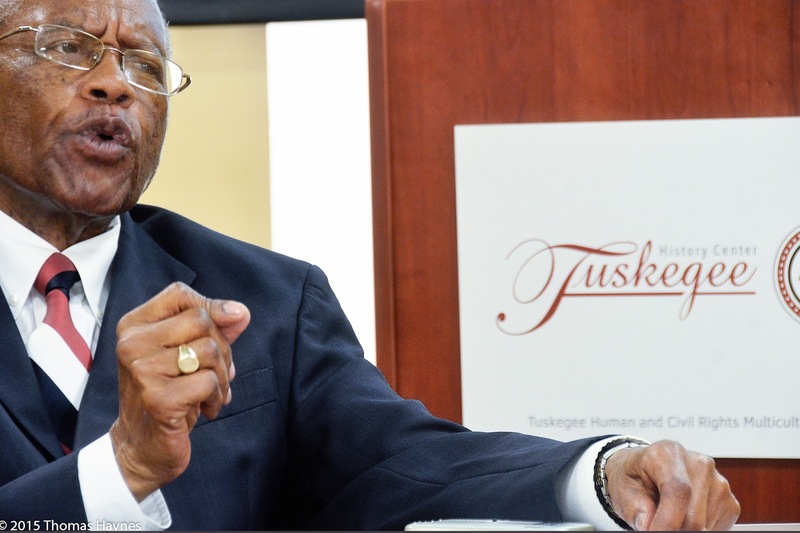 Fred Gray is a quire famous civil rights attorney, the attorney for Rosa Parks, the black woman who did not give up her bus seat to a white man in integrated Alabama. He was once denied entrance to a university in Nashville...the very school to bestow him an honorary doctorate years later. He is shown here while being interviewed by three home schooled young ladies in 2015 who were making a documentary for national competition. The location is an office in Gray’s Multicultural Center for Human and Civil Rights in Tuskegee, Alabama. The photo was intended to show a still formidable attorney. The Library of Congress copyright title is "The Power, Faith and the Force"defining his strength to continue working for cultural justice and the power of the law to back him. Listening to this man, realizing the kind, just heart and also the depth of life knowledge from times of integration in Alabama..was, well, it was moving and admirable joy at the same time. This is a natural light photo shot candidly. I hoped to catch just such a facial expression. Yes, a shutter click does often call for a little serendipity. This beautiful and friendly dog was at an overlook above Cumberland Gap, Virginia. I edited away the leash. After a short conversation ended with good patting, I got this pose, just as wanted with the dog at a good angle to make the photo worthwhile while showing its blue eyes. his canines, used for catching a stray mouse once in a while. We have not seen this athletic cat actually eat a mouse. Each animal has a personality, often reflecting the love and care it has received. This female kitty was about 18 years at the time of the photo. She made it clear, " I am a cat. I do not wear a tiara." and she promptly fell over on her side and this is the best photo she would allow that day. Two years later, she passed on to where God has cats, going to sleep with a sigh in my wife's hug. One of her house mates is this sandy orange male. I was told after a time in the woods with an injury to his jaw, this was a rather weak and overly thin boy. 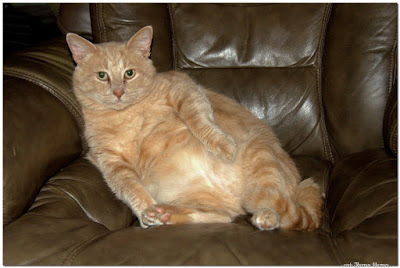 Once taken in and good veterinary care got him going right, food was no problem...except that he wanted to eat it ALL! Now he feels like CEO of food delivery. This photo was taken with the idea of CEO in mind. His coat showed too many shadows in the editing computer and almost transparent hand painting gave better uniformity to the kitty tummy fur. 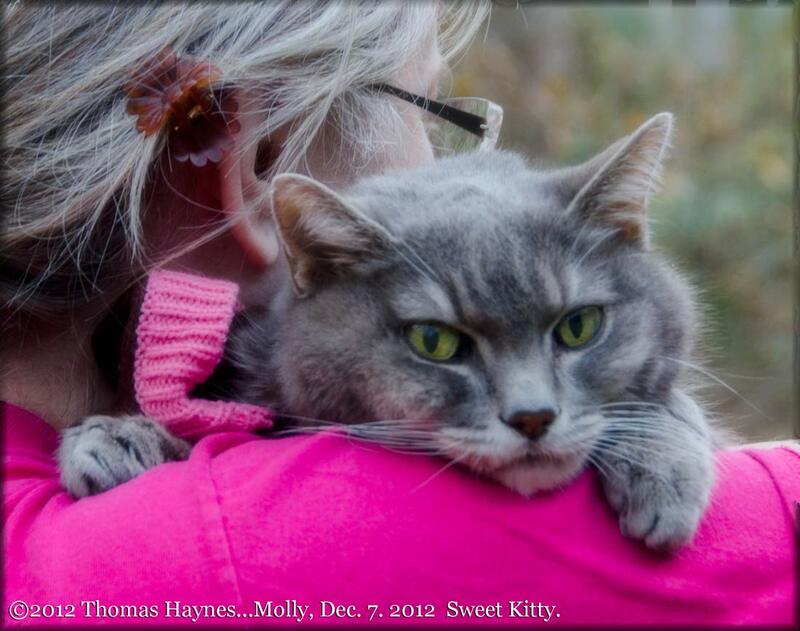 Molly was 2 1/2 years old when she died from lung cancer two days after this walkabout. She was our rescued girl and started life with the odds against her.,,A beautiful kitty with beautiful “alpaca like” fur. 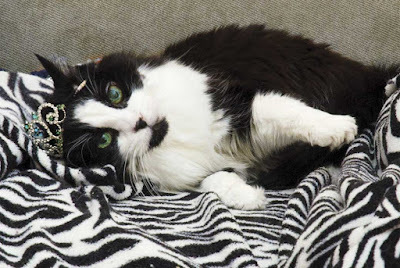 She was treated with radio iodine for hyperthyroidism at 2 years old. We will not use this treatment again. Why? 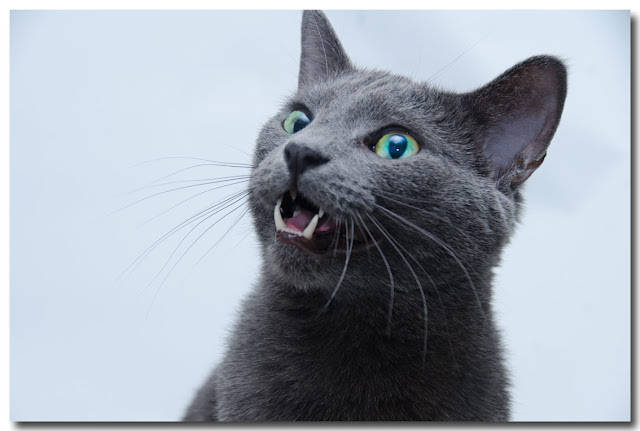 We have had 4 cats treated with radiation for hyperthyroidism and it did “cure” the thyroid problem. The larger problem is that all 4 of these cats, including Molly shown, died of cancer within the next year. Molly had lung cancer and had surgery. We went to bring her home following surgery and as we were putting her in her carrier, the oncologist said the margins were not sufficient and he needed to remove the rest of the lung. Dealt a bad hand at birth, we have no idea what toxins her mother encountered while pregnant. This photo is for us, a memory of a wonderful kitty whose life was tough and too, short. Her photo is hanging in an exam room at an emergency veterinary clinic in Knoxville, Tennessee. She is beautiful enough in that framed print to encourage others with sick cats. Nothing is said about her death, only a photo of her on a much better day with her pretty face and eyeliner, personally applied by her Creator. 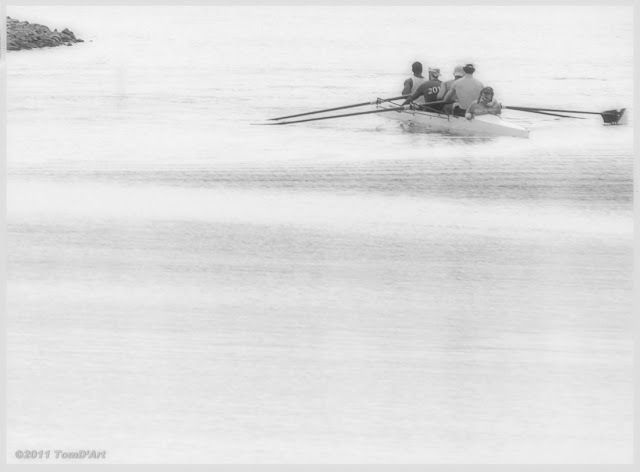 Rowing through Silver, a photo taken near the Oak Ridge Marina during practice/warmup runs during a regatta. Bright light on the water makes exposure difficult and more so with color images. For this, we tested the scene and saw the silver look when slightly overexposed. It was like they were rowing through silver and that description was poetic enough to catch our fancy. When on the NEC graphics editing monitor, it worked better than expected and we found use for artistic exposure that day. The island-like jut of land brings the composition together. This is a heavy necked, strong work horse. I believe the colt I saw with her is her child. This photo is a glimpse of her as a beautiful creature, and somewhat gentle. Why we took this image is that simple..with vignette to emphasize her face and little background to take away from that view. This pretty young lady and her sister used umbrellas to shade the bright and hot sun while sitting on the steps of the Alabama state capitol building in 2015. They were on the same trip with us when we met civil rights attorney Fred Gray, pictured previously. I don't know that they understood the significance of the events with Martin Luther King and others in bringing about a legal end to segregation. 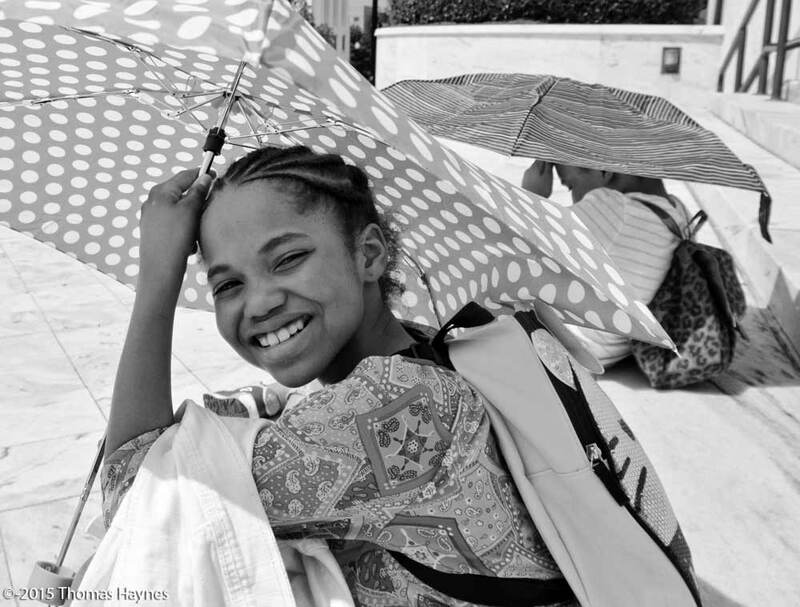 These pretty girls are resting in a location once known for its racial inequality. They are relevant to this story. The people of Alabama made our enlightening trip pleasant, indeed. They were gracious hosts and it is a great state to visit. Focus on the eyes makes this natural light photo. 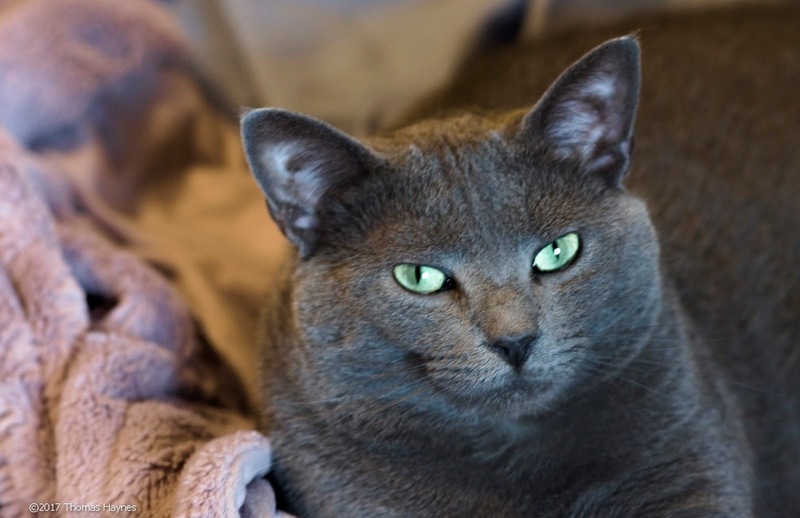 The exceptional "Russian Blue" eye coloration truly does make the photo worthy. Shot offhand, natural light through a bedroom window. sometimes the best photos come from patience rather that the effort to pose subjects best left to pose on their own. 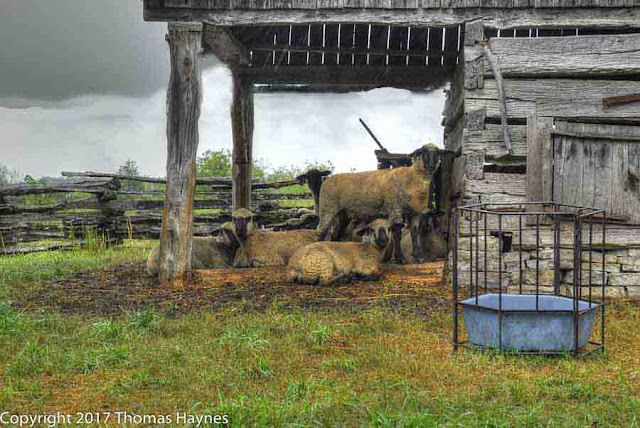 How could I pose these sheep? The did what they do and that made for the comfortable, late afternoon in September scene. The work then was to edit, remove a few flaws and distractions and improve the definition with color and contrast. 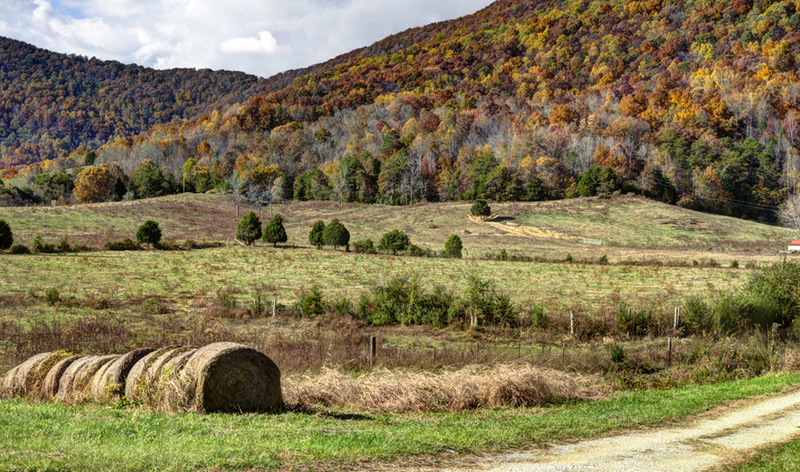 I wanted a soft yet detailed look for this early fall pastoral photograph. Recent leg problems make walking difficult on uneven ground I leaned against my car while the sheeep took cover from rain then all posed looking right at me. Thank you for looking and reading. I believe you had opportunity to get a better idea of what we do at Thomas Haynes Photoshoot. Ready to have a photographer? Send us a note in the contact box. What an awesome collection of photos! I forgot how good you are!